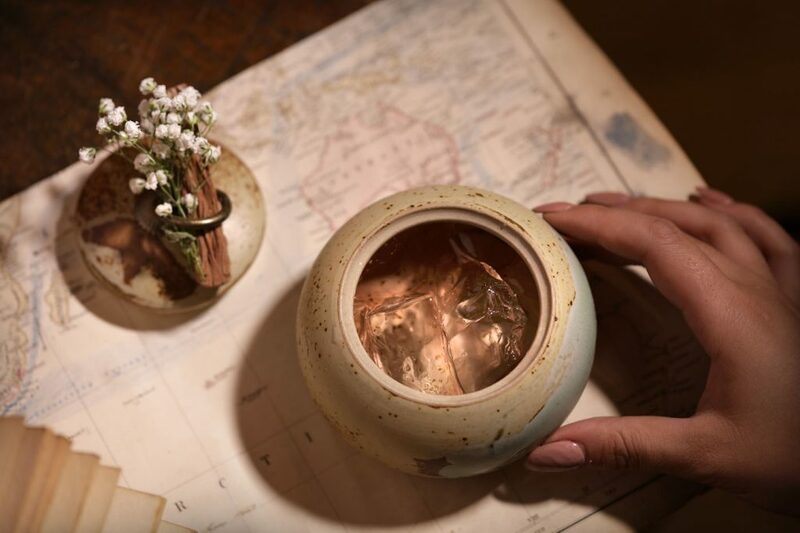 Our newly opened Society of Exploration is located just a stone’s throw away from Charing Cross station, where Phileas J. Fogg embarked upon his journey around the world! 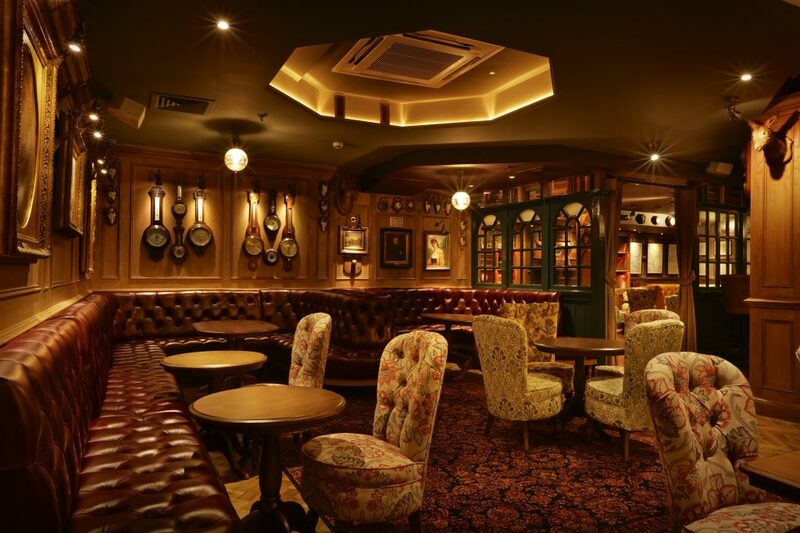 Our fifth addition to the Mr Fogg’s collection boasts wood-panelled walls, warm leather seating and shelves laden with eccentric artefacts. 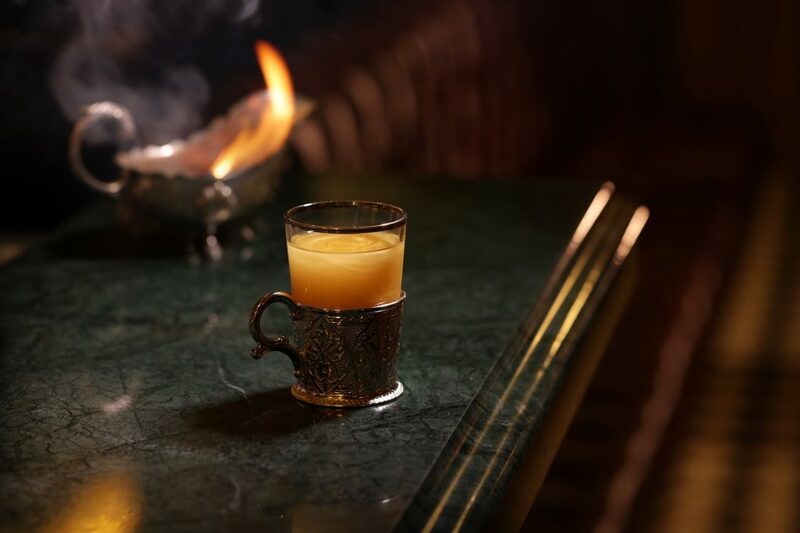 A place of exploration and adventure, guests can travel the world via the portals of their taste buds by sampling elixirs from the farthest corners of the globe. Explorers may plan their next quests with the assistance of our in-house expert in the Map Room, where one will find an impressive collection of antique maps, travel books, souvenirs and more. 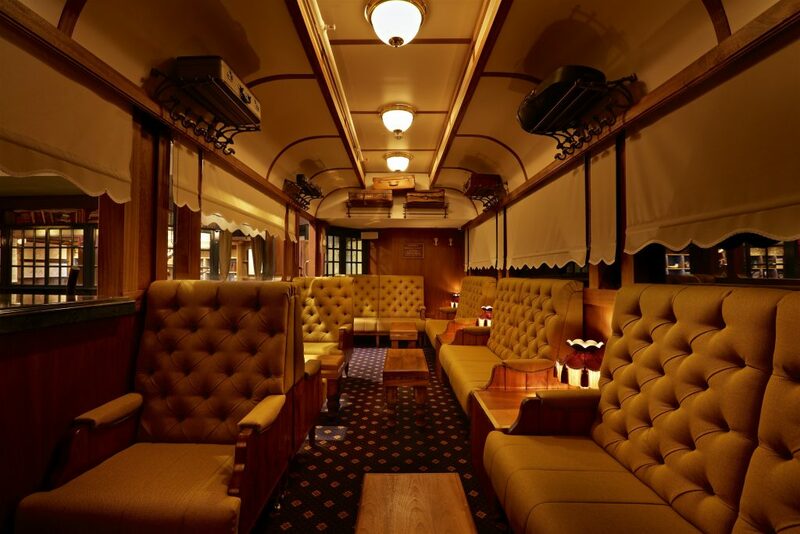 Alongside the bar lies our life-size model of a Victorian train carriage, perfect for small gatherings, complete with banquette seating, brass lamps and windows overlooking the bar area. Housing an extensive selection of worldly libations, the Society of Exploration is also home to Mr Fogg’s Mechanical Mixologist, an automated cocktail-making machine that sits proudly in the centre of the back-bar. 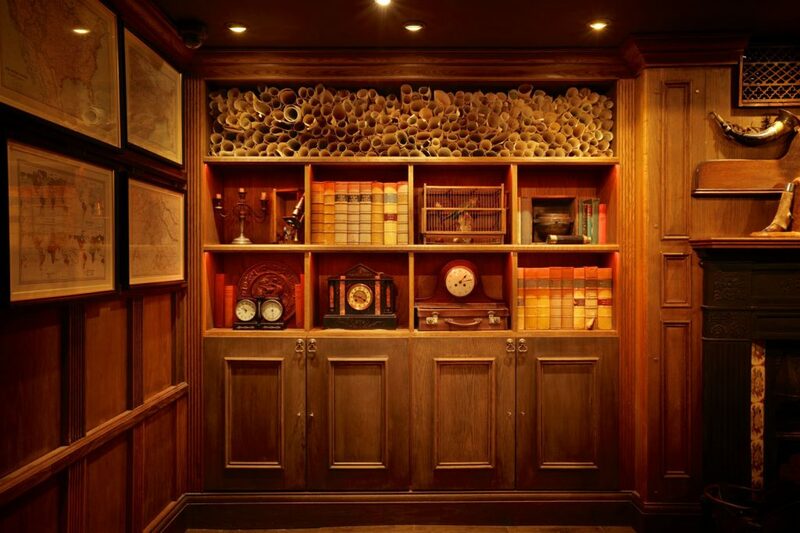 Beautifully crafted and meticulously designed, the custom-made machine is designed to celebrate the spirit of experimentation and industrial innovation that took place in the Victorian period. 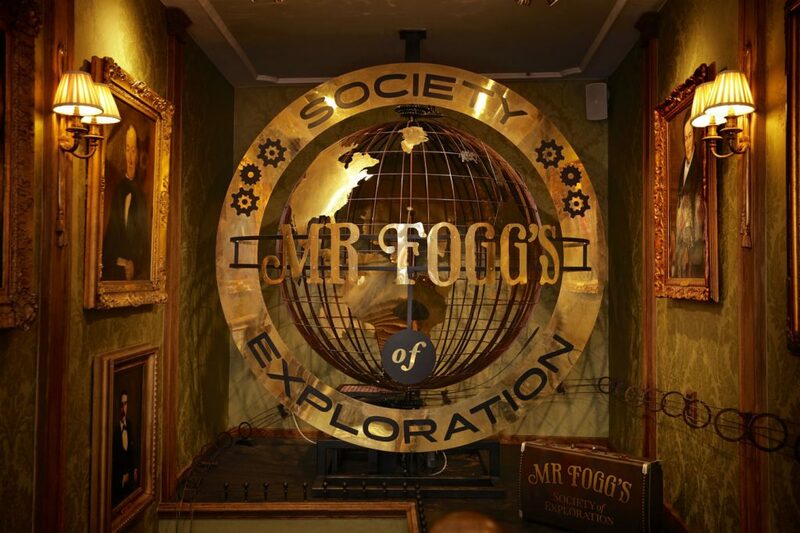 Come and encounter all means of exploration, as you bear witness to the fruits of British industrial revolution in the form of new-fangled machinery and the bold experimentations of mixology; all taking place within Mr Fogg’s Society of Exploration!